Shatrughan Sinha also said that the interrogation must take place without the use of "third-degree torture". 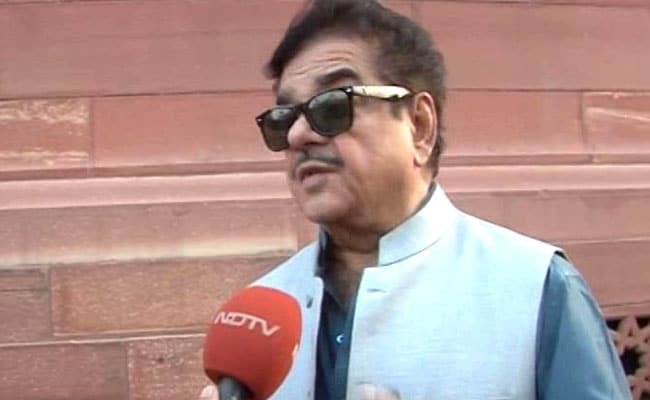 New Delhi: BJP lawmaker Shatrughan Sinha on Monday demanded that all interrogations into the murder of seven-year-old Pradyuman Thakur must be done under camera surveillance with no "third-degree torture". The Class 2 Ryan International school student was found with his throat slit inside the Gurugram school washroom on September 8 just after he was dropped by his father. Haryana Police had earlier arrested bus conductor Ashok Kumar for the murder of the seven-year-old. "If the poor common man, Ashok Kumar (conductor), accused of our child Pradyuman's murder, is let off by the CBI, then Gurugram police or whoever participated in framing him to divert attention, deserves no mercy and must be punished most severely and appropriately," Mr Sinha said in a series of tweets. Mr Sinha's remarks came in the wake of the Central Bureau of Investigation or CBI bringing a new twist in the murder case claiming that Pradyuman was killed by a senior schoolmate, a 16-year-old Class 11 student. Mr Sinha requested the judiciary, Haryana government and also the Centre to ensure that "justice prevailed". On September 22, the CBI took over the murder investigation from the Haryana Police. The CBI arrested the Class 11 student on Tuesday.